The United States pushed for tougher sanctions on North Korea at the UN Security Council on Wednesday, warning the isolated regime's launch of an intercontinental ballistic missile had drastically narrowed the path for diplomacy. In a hard-hitting address, US Ambassador Nikki Haley said Tuesday's ICBM test had made "the world a more dangerous place," and reiterated that Washington was ready to use force if need be to deal with the threat of a nuclear-armed Pyongyang. Tuesday's launch marked a milestone in Pyongyang's decades-long drive for the capability to threaten the US mainland with a nuclear strike, and poses a stark foreign policy challenge for Donald Trump. The US president had dismissed the idea of the North possessing a working ICBM, vowing it "won't happen", but experts said the missile could reach Alaska or even further towards the continental US. At the UN, Haley called the launch "a clear and sharp military escalation", and US and South Korean forces fired off missiles Wednesday into the Sea of Japan simulating a precision strike against North Korea's leadership. Washington had "considerable military forces", Haley said. "We will use them if we must." But the US focus, she told the council, was to push through tighter sanctions, and it would submit a new draft resolution within days. In all, six sets of sanctions have been imposed on North Korea since it first tested an atomic device in 2006, but have failed to prevent its military advances. 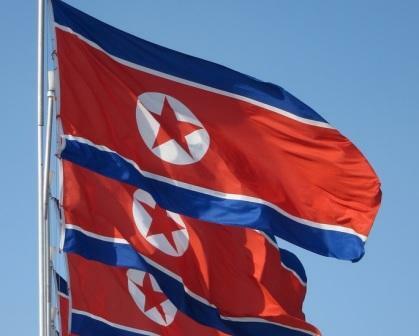 New measures could target countries that continue to trade with North Korea, curb oil exports to the isolated country, tighten air and maritime restrictions and impose travel bans on its officials. Haley singled out China - increasingly in the US administration's crosshairs as the North's sole major ally and economic lifeline - as key to any diplomatic solution, only days after Trump said Beijing's efforts had failed. "We will work with China," Haley said, "but we will not repeat the inadequate approaches of the past that have brought us to this dark day." The US drive won backing from France, but raised immediate protests from fellow permanent Security Council member Russia, whose Deputy Ambassador Vladimir Safronkov warned that "sanctions will not resolve the issue." China's Ambassador Liu Jieyi once more pushed Beijing's alternative proposal for talks based on a freeze of North Korea's missile and nuclear tests, in exchange for a halt to US-South Korean military drills - which has repeated been rejected by Washington and Seoul. Washington and Seoul are in a security alliance, with 28,500 US troops stationed in the South to protect it. In a meeting with German Chancellor Angela Merkel ahead of the G20 summit she is hosting, South Korean President Moon Jae-In said the level of the North's nuclear and missile capabilities was already a problem, "but the bigger problem is that the speed of progress is far faster than expected." Sanctions and pressure, he added, should be a means to push the North to the negotiating table, "and should not break the peace itself". The Hwasong-14 missile only travelled little more than 900 kilometers (560 miles) to come down in the Sea of Japan, but the altitude it reached - more than 2,800 kilometers according to Pyongyang - demonstrated it can travel far further. South Korea's Defense Minister Han Min-koo put its range at 7,000 to 8,000 kilometers - far enough to put US Pacific Command in Hawaii within reach. The North, which says it needs atomic weapons to defend itself against the threat of invasion, said the test proved the missile's re-entry capabilities and it could carry a heavy nuclear warhead. Questions remain over the missile's precise capabilities, but concerns over its implications are mounting in the South. "A North Korean ICBM carrying a nuclear warhead is a game-changer," the JoongAng Ilbo said in an editorial Thursday. "What worries us is the uncertainty of whether the US would defend us if North Korea attacks Seoul. We cannot be sure if the US would risk a nuclear attack on New York or Los Angeles."